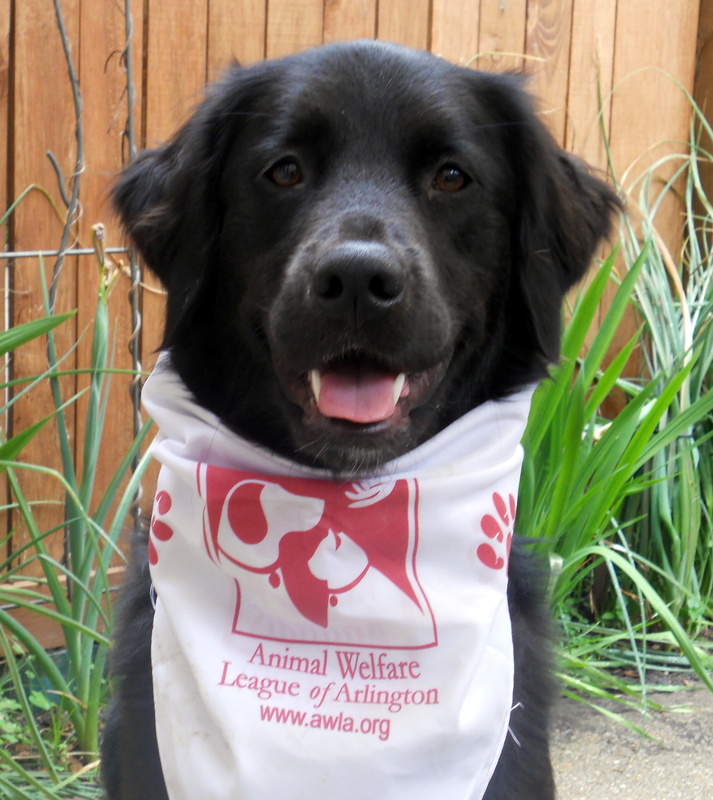 The 17th annual Arlington Animal Welfare League Walk for the Animals is this Saturday, May 12, at Bluemont Park in Arlington. Last year, more than 500 walkers and 300 dogs raised $90,000 for the shelter in Shirlington. Register online before Friday at 5:00 p.m. for $25 per (human) walker. Pre-registered walkers are guaranteed a t-shirt and bandanna. The onsite registration fee is $40. Sundae models her bandanna from the walk. There are prizes for the individual and team who raise the most money. Registration opens at 8:30 a.m. and the walk begins at 9:30 a.m., rain or shine. After the walk, there are demonstrations and vendor booths to visit. Bluemont Park is at 329 N. Manchester Street, Arlington, VA 22203.